We had a very successful trip to Rockingham Castle yesterday, which is a lovley new event in Northamptonshire and takes the place of Brigstock in the fixtures list. Chilli Morning and Running Order were both having an OI run after their misdemeanors recently and both thoroughly redeemed themselves with good runs. Running Order finished 2nd by just 0.3 penalties! He led the dressage on an excellent score of 20.5 but rolled a pole in the show jumping. The cross country time was quite easy but I pushed him on where the ground was good so I was a little surprised by my 0.8 time penalties. Chilli Morning finished 4th after a 24.6 dressage and double clear, picking up just a couple of time faults across country. 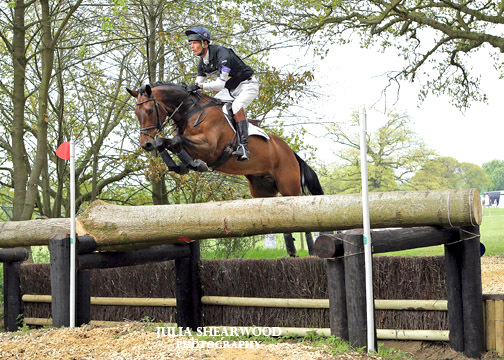 It was great to have him feeling good and the plan for him is to now go to Bramham CCI3*. I was having my second outing of Fernhill Pimms. He also had a very pleasing day finishing 10th in the same section. He did a super test of 25.9 and went double clear, adding 10 time faults across country. 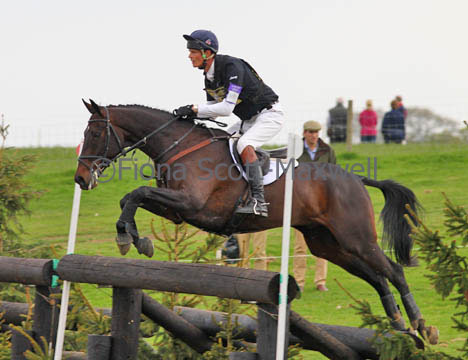 I am just getting to know him a bit now and his next run will be the CCI2* at Tattersalls in two weeks time. Freddie Mac, also in the OI, was again very pleased to be out and a little excited in the dressage, although he contained himself better than at Aston Le Walls last week to score 30.5. He then rolled a pole in the show jumping but on the whole jumped very well and I decided not to run him across country as he heads to Tattersalls in two weeks for the CCI2*. Henton For Fun was having his first Intermediate run. He did a good test to score 24.6, which left him in 2nd after the dressage. He was then rather overexcited in the jumping and rolled three poles as a result, which was a shame. He also heads to Tattersalls in two weeks for the CCI* so I also decided not to run him across country. The team at Rockingham Castle did a fantastic job. The courses were beautifully presented using the parks undulations, with plenty being done to help the ground where needed. Viewing was on the whole pretty good and the track rode well, certainly an event we will look forward to coming back to next year. It was a quick turn around for today with the lorry arriving home at gone 11pm, we then left the yard for Tweseldown at 5am with four Novices. William & Fernhill Pimms on course at Rockingham yesterday. Thanks to Julia Shearwood for this picture. Running Order (2nd) at Rockingham.